Why is the U.S. Congress going after Jill Stein? Because no law-enforcement agency could do so, since no probable cause exists to believe she has committed any crime. Neither is there probable cause to believe she engaged in the non-criminal action of shaping her policy platform based on anything she learned from anyone Russian. She went to a Russian media event, something I’ve always refused to do because of people’s fear of just this sort of witch hunt. But she paid her own way. She didn’t take a dime from the Russian government. She didn’t even demand that the Russian government help block a UN resolution on illegal Israeli settlements, as President-elect Donald Trump’s campaign did in order to undermine the position of the U.S. President — something the U.S. Congress seems unconcerned by. Nor did she cut any sort of deal with the Russian government whatsoever. She just attended a public event with a bunch of people who didn’t even speak the same language as each other. Jill Stein ran the same sort of campaign with the same sort of platform that she had run in previous years, and that other Green Party candidates had run in years prior. She didn’t oppose bombing various countries or subsidizing fossil fuels or leaving people without health coverage because someone in Russia asked her to. She’d had the same positions for years. She didn’t oppose lesser evilism and believe the wisest electoral path to consist of running a better platform and voting your conscience because Putin gave her the idea. She’s thought that way for years. The reason Jill Stein matters to Russiagate is that it has gone on for a year without finding any solid way to blame Hillary Clinton’s campaign on Donald Trump. The original goal had been to distract the media from the Democrats’ rigging of their primary, and to claim that Russia had stolen and leaked documents to WikiLeaks. Those documents should have been public, as they revealed major abuses of the U.S. electoral system. But there’s no evidence they decided the election, and — even after a year of digging — no evidence that Russia leaked them. And at this point, there’s not much chance such evidence will ever be found. So, what’s needed is a change of subject, a new way in which Russia — not Hillary! — is to blame for a U.S. electoral system corrupt in dozens of ways from the start and contentedly staying that way. Lesser-evilists who blame “spoilers” would be all too happy to add “Russian collusion” to the rap sheet for Jill Stein, if only to finally justify having taught their kids the word “collusion.” But the idea is patently absurd, and zero evidence exists. However, Congress can harass anyone it chooses. Probably cause is not required. The reason Jill Stein should matter, and what we should be telling the millions of people who will now hear of her for the first time, is that she entered the U.S. presidential race with a decent and humane policy platform, by no means perfect, but light years ahead of those of the two least popular duopolistic political parties since the invention of polling. In a system with open debates and ballot access and a ban on bribery, fair funding and air time, automatic registration, verifiable counting, election-day holiday, ranked-choice voting, etc., etc., a candidate with a decent platform could run and win. Jill Stein ran in part, I think, so that people would simply hear about such a platform. Hers was a platform dramatically superior to that even of Senator Bernie Sanders. Senator Bernie Sanders’ domestic proposals got millions excited, but the (unfair and misleading) criticism that he would raise taxes may have been a tragic flaw, and it’s one he opened himself up to by refusing to say that he’d cut the military. Stein proposed to cut at least half of the single biggest item in the discretionary budget, an item that takes up at least half of that budget: military spending. She’d have cut fossil fuel subsidies, as well, and expected savings to come from healthcare, including as a result of cutting pollution and improving food quality. But the big immediate item was the military. Cutting it is popular with voters, but not with Democratic or Republican presidential candidates. Sanders was labeled the Tax Man by the corporate media, while Jill Stein would have had to be attacked in a different way if she ever got mentioned. Which 50 percent of the military would Stein cut? Two places she named that she would start with (there would have to be much more) are foreign bases (she’d close them) and the U.S. nuclear weapons program. Would she unilaterally scrap U.S. nukes? I asked. Those Russian positions were public, not secret. To change U.S. foreign policy, Stein proposed financial reforms unheard of in any presidential debate. She suggested that military and other government contractors should face “pay to play protections” preventing them from “buying their way into policy.” Stein explained: “If you establish that anyone who contributes, who provides campaign contributions, or who lobbies is not eligible for contracting with the government, the minute you break that umbilical cord, then the industry loses its power to corral Congress and dictate foreign policy.” Stein said such protections could also block U.S. government facilitation of weapons sales to foreign buyers. That position is sure to endear Stein to Senatorial Inquisitors. 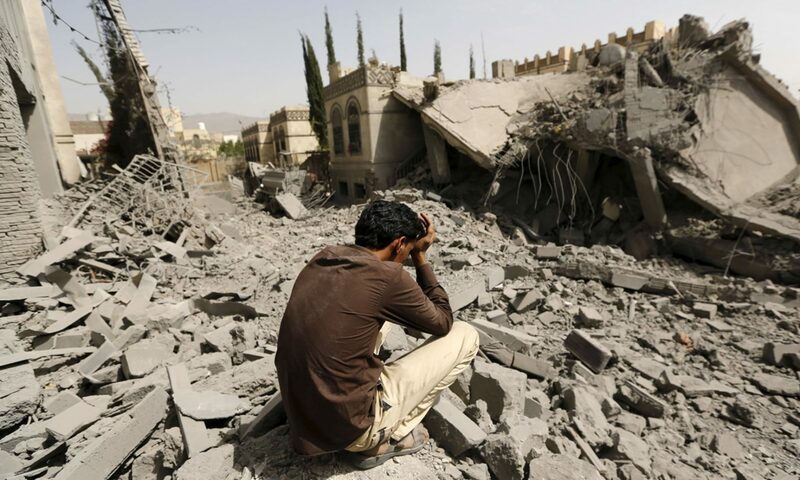 “We can actually begin to rein in the Saudis with a weapons embargo and by impounding their bank accounts,” Stein said, outlining a policy that could have saved countless lives now lost in Yemen. What Stein was proposing here, I should note, stands in stark contrast to Russia’s actual approach of bombing Syria. But Corbyn is in office with a shot at becoming prime minister. With the U.S. public completely sold on the hopelessness of third-party bids, at least by non-multi-billionaires, what was Stein’s plan for actually becoming president? “First of all,” she said, “there are 43 million young people and not-so-young people who are trapped in debt, in student debt. My campaign is the only campaign that will be on the ballot that will abolish student debt. We did it for the bankers who plunged us into this economic crisis that persists in spite of what they say. And they did that by way of their waste, fraud, and abuse. Yet we bailed them out to the tune of $16 trillion and counting.